(a)	Bed. A cat bed can be a basket or a small box with a soft blanket, towel, pet bed, or even a blanket by itself. If you have multiple cats, it is preferable that you have one for each cat to avoid jealousy and fights over the bed. Although, cats will make their own favorite place to take a nap and sleep at night. (b)	Litter Box. There are several types and sizes of litter boxes out there, so when you decide to purchase one, be sure to take in consideration the number of cats you have in the house (always have an extra litter box for each number of cats you have in your house, e.g. if you have one cat, you should purchase two litter boxes, if you have two cats, you should purchase three litter boxes). New Cat Home Tip #1: By having a litter box that has a top will give your cat some privacy while they are “busy” inside, and help to keep your room clean…after all cats will do everything they can to hide what they did, splashing litter everywhere. In addition to the cat litter box, you should also search for the best litter for your cat. You might be tempted to get the litter by its price, or promise to be the best, but if your cat does not like it, he will not use it! 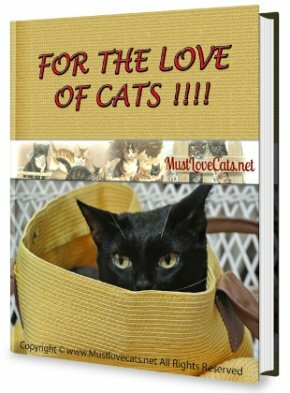 Beginners, be sure to use a litter that your cat likes, and the only way to find that out is trying different litters until you find the right one. Cats can show that they do not like the litter by crying in front of it, handling their “business” in front of the litter box, using it very little, or even start using certain areas of your house to do their “business.” So, be sure to pay close attention to your cat’s behavior and habits. (c)	Bowls. The only requirement for this item is to be tip-proof. If you have multiple cats, be sure to have a separate bowl for each pet food, and keep consistent which one eats on its own bowl. They can share the water bowl, and it is recommended that you have at least two water bowls in your house. Also important is the location of your bowls, meaning, separate the feeding area from the litter box, as cats are persnickety about their habits. 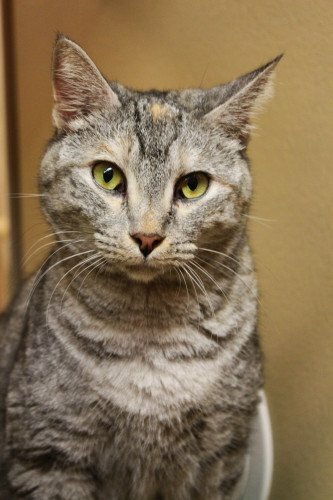 New Cat Home Tip #2: Remember to keep your cat’s bowls clean to avoid bacteria growth and daily fresh water. (d)	Toys and Scratching Post. Cats will love the toys you buy them, they will play with it until they get bored with it, then they will look of things around your house to play with. This is why is so important to make your house cat safe. Cats are very curious creatures, and they will under and behind everything in your house searching for new things to play and eat. New Cat Home Tip #3: In addition to toys, you should also consider a jungle tree or any other kind or multilevel play area. Cats love it!!! They can play, scratch, jump around and take afternoon naps. Although there are several things you should keep away from your cats, and they are: plastic bags (they can suffocate a small cat, and they sometimes start eating them causing several problems), strings of any sort (believe or not they will eat it, and it can kill them), small objects such as paper clips, caps, and other similar items can cause your cat to choke, serious stomach issues leading to surgery and even death. So, be very cautious about what you have laying around your house. By scratching post we mean something else besides your furniture and carpet. Be sure to have plenty scratching posts around your house and use cat nip to mark the areas where your cat is allowed to scratch. New Cat Home Tip #4: There are several repellants sold at pet stores which can assist you if your cat start or continue to use your furniture and carpet. In addition to sprays, you can also add tapes wit the sticky surface up, which will keep them away as well. Remember, you will be gone most of the day, busy with things around the house and the kids so, keeping your feline friend busy and entertained during that time will help with their heath and mood. Providing an active live for your cat will keep it healthy and will bring balance to your home. (e) Cat Food. When we talk about cat food, many of cat owners purchase the ones sold at the grocery store, and even look for the sale sign. Again, when you bring a new cat home, there are several financial decisions you will need to make, and been aware of costs up front is the best way to determine if having a cat is right for you. We many times sacrifice quality for price, and that in the long run will harm your pet. Low price foods have high carbohydrate and fillers and very low amount of nutrients and proteins. Do not sacrifice the health of your cat. Look for well balanced, high quality food, rich with nutrients, vitamins and proteins. Kittens will need more fats and proteins than adult cats, so be sure to purchase the correct type of food for your kitten. Also look for kitten foods that are easy to digest. Kittens younger than eight weeks will only eat moist food and/or cat milk (do not give your kitten other milk then cat milk, they will not digest other milks and you can harm your kitten). After eight weeks you can start giving some solid food as well. 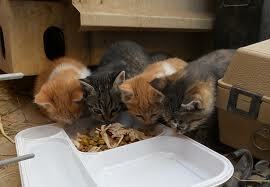 New Cat Home Tip #5: Although most of us give solid food to our cats, canned food is better for them. So, in addition to a solid food with higher nutritional and protein values, you should also supplement their diet with canned food as well. If you decide to change your cat’s diet with canned food only, be sure to have a good quality canned food, with high nutritional values and protein. For more information about nutritious and balanced cat food, click here.